Paul Pogba (Red card suspension), Michael Carrick and Eric Bailly ruled out. Benjamin Mendy and John Stones ruled out. Manchester City Football Club (nicknamed City, The Citizens, and The Sky Blues), are a professional football club based in Manchester, England. City were founded in 1880 as St. Mark's (West Gorton), before being renamed as Ardwick Association Football Club in 1887, and finally Manchester City in 1894 - and the origins can be traced back to members of St. Mark's Church of England, West Gorton - who founded the football club that would become known as Manchester City, for largely humanitarian purposes. Two church wardens sought to curb local gang violence and alcoholism by instituting new activities for local men, whilst high unemployment plagued East Manchester, specifically Gorton. All men were welcome to join, regardless of religion. 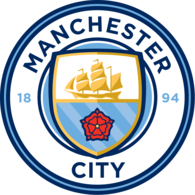 The team's first recorded match occurred on 13 November 1880, and City gained their first honours by winning the Second Division in 1899 - with it came promotion to the highest level in English football, the First Division. 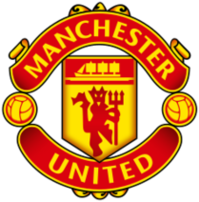 In the seasons following the FA Cup triumph of 1904, the club was dogged by allegations of financial irregularities, culminating in the suspension of seventeen players in 1904, including captain Billy Meredith, who subsequently moved across town to Manchester United. 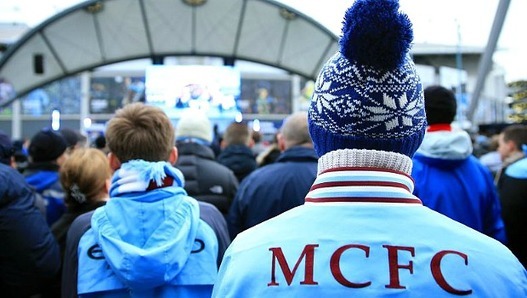 Almost half a century later later, a City team inspired by a tactical system known as the Revie Plan reached consecutive FA Cup finals again, in 1955 and 1956; just as in the 1930s, they lost the first one, to Newcastle United, and won the second. 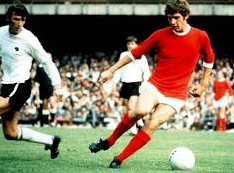 The club continued to challenge for honours throughout the 1970s, finishing one point behind the league champions on two occasions and reaching the final of the 1974 League Cup. Prior to the takeover by the Abu Dhabi United Group in 2008, the club had enjoyed moderate levels of success through their history - however, since the start of the current decade, City have been buoyed by the signings of Sergio Agüero, Yaya Touré, David Silva, Pablo Zabaleta, Vincent Kompany - and have emerged as perpetual title contenders - winning the league twice and repeatedly finishing in the Top 3. City play their homes games at the Etihad Stadium, and their biggest rivals are neighbours and opponents for the game, Manchester United. will be a great game. Probably most important game of the season. Not very optimistic but hopes the team put 200% of their efforts into it. The spirits should be on fire at Old Trafford. No need for 3 at the back for this. We should go full 4-3-3 to counter their midfielder. Use our physicality as much as possible to bully their players in the middle of the park. Don't invite pressure, but play it tight and compact, close spaces and we should do fine. Our counters will be hit without Pogba, though, but hope it goes well. I might die from nerves. Lose and the title race is pretty much finished. Draw and it's still hanging in there. Win and it's back on! I cant wait, although I dunno how we’re gonna dominate the center of the park and break through citys midfield in order to bring our front 3 into the game without them dropping too deep in order to try influence the game. No way should we play 3 at the back. Both Arsenal and Chelsea both did it and got beaten. Infact I'd say the team who gave City the most problems were Liverpool before Mane got sent off. They played a 4-3-3 formation with Mane and Salah on the wings and City were struggling with their pace. We need to do something like that so play Lingard/Rashford, Lukaku and Martial up top and behind them Fellaini, Matic and Herrera. I'm just imagining my Monday if we win. What a beautiful day that would be. If we are clinical with the few chances we’ll create (like Arsenal game) I give us a fighting chance of a win. Flop in front of goal (general trend), then there’s only one outcome! Hoping for a Matic-Herrera-Fellaini mid3. Only way without Pogba is to overrun the City mid with such players and neutralize them if we want a chance at all 3pts. If not and even one doesn't show up to play, we'll be lucky to come out with 1 point if not none. Matic, Fellaini and Herrera should start. Otherwise, Matic and Fellaini. So let City dictate our team ? They’re not Brazil c1970 ! They’re a great team yes but come on ! We’re at home and need to be on the front foot. Why effectively hand the impetus to them by ripping up a shape that has had us playing some of our most promising football of the season these past few weeks. Damn wish we had Pogba for this one. Personally I can't wait to see what Mourinho does, as this is the biggest test of his tactical nous since he arrived. Several options he can Take, none of which are foolproof given loss of Pogba and slightly inferior resources. Its a cup final for us: if we lose, the league is almost certainly out of reach: I doubt City will fold like Newcastle or Arsenal have done in previous years. Wonder if that means Ibra might start? Woule be better suited for last 20 mins, as a ramrod to chase the game, or experienced hand to close the game down. I think I’m going to go off and do something other than watch it and not be on the internet for the 2 hours. I’m not sure I can take it. I’m not having their dainty little asses running the show at Old Trafford. The way I see it, even if we win, the title is still there's too lose and I don't think they will. I'm managing expectations. The result is only meaningful to our top 4 chances, nothing else. So who cares? Afraid of of 6 mins like Germany inflicted on Brazil last world cup? Its going to be 352 guys. Look at the team that was rested. Would prefer a midfielder instead of Lingard , personally though - Fellaini and go long. I know it seems odd to leave Martial out but he really is wasted in games where we don't have much ball or territory. We saw that against Arsenal, where he was obviously in good form but just couldn't get into the game without more supply. Lingard and Rashford are both more useful out of possession, and both more likely to threaten on the counter-attack. They will both provide better out balls for Lukaku when he's trying to hold up/flick on clearances. Ibra will feature but only off the bench. He simply hasn't played enough to start, and even though the goals aren't pouring in from Lukaku his performances have been good, including in the Arsenal game which is a decent blueprint for this one. You might see Lingard drop in and play as more of a third midfielder. We should be looking to strangle the central areas because City are less dangerous down the wings than they are going through De Bruyne and Silva, especially as we will have lots of tall bodies in the box to defend crosses. Keep seeing people posting that we 'get physical'. Not sure how you can in this era. Its so easy to get a red card, yet alone strategic fouls for a yellow. Games like this (given what’s at stake) are the worst. Because they are the reason why you both love and hate football. Win and you pity the people who have no interest in the game. Lose and you wish you didn’t even know what a Mourinho was. Man City played 3-5-2 against Liverpool which I doubt they'll play against us. And Arsenal were good playing 3-4-3 against them, they did a good job of putting City off their rhythm. 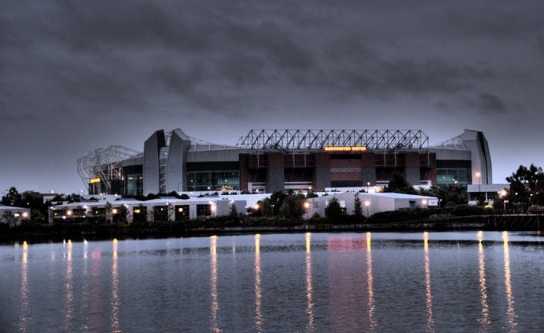 The unbeaten record started at OT post the City loss and City are once again the visitors. Please United, win the damn game. Else can see City going unbeaten and equalling the invincibles of Arsenal. Matic too if he has the legs. So annoying we'll miss Pogba's height. Saw this strategy in other thread and really like it. Woikd totally bamboozle the bald one too. Wing back deliver the floating crosses. Other wing back drops back to always keep back 4 on shape. Lingard, Rashford or Martial offer pace to replace Ibra with after 65 mins, when we change strategy to counter attack. A 4-3 win please. Fellaini to smash in the winner at the 94th minute. Mourinho tells Mangala how to defend properly. You could do a home spa. Or if you have a dog you can go for a long walk. You can exert a degree of physicality. And be cynical with it. It’s not without its risks, but the alternative is letting them play around you and not laying a glove on them. But you’re right, it depends on how quickly Michael Oliver chooses to book players. Because one thing I’m sure of, Mourinho will instruct the players to be aggressive - breaking up play with cheap fouls are a feature of his game plans. Pep calls Mou a cnut in his post-match interview and receives a five match ban. I'd go for the same team as against Arsenal with Herrera replacing Pogba. Too bad they have Ederson in goal. He's much better than Claudio 'Save Nothing' Bravo. Spot on. Though I feel we may see Fellaini instead of Lingard/ Martial. They are quite vulnerable at set pieces and corners and Jose will definitely be looking to exploit that.